A few years ago, Chris Brookes, Jowi Taylor and I produced a six-part series for CBC Radio called The Nerve: Music and the Human Experience. It was a follow-up to our Peabody-Award-winning series The Wire: The Impact of Electricity on Music, and it takes a look at how music is a facet of every part of our lives, from human evolution, to war and peace, to religion and personal identity. This month, Radio New Zealand National is rebroadcasting The Nerve in its entirety, on Saturdays and Sundays at 2pm New Zealand time. (That’s 5pm Pacific time and 8pm Eastern time in North America on Fridays and Saturdays.) You can listen at those times HERE. Music is found in every culture worldwide. It’s our constant companion, from birth through childhood, love, marriage and death. It has a starring role on every stage of the great human drama – whether we are at war or at prayer, by ourselves or with others, happy or sad – music is there. But does it really have a purpose? Where does it come from? And why does it have such power over our hearts and minds? The Nerve asks those questions, featuring the voices and thoughts of top musicians and thinkers, from Zakir Hussain to Howard Shore to Richard Dawkins and more. In 2009, Episode 1 of The Nerve was Shortlisted for the Prix Italia in the Work on Music category. 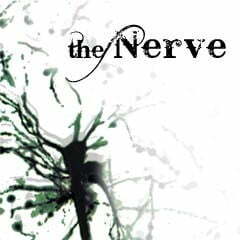 The Nerve as a series was awarded two Silver Medals at the 2009 New York Festivals of Radio Programming in the Culture & the Arts and Best Editing categories. The audio podcast “Electric Pow Wow” from the RPM Podcast series, produced by Paolo Pietropaolo for MBM Digital, has been awarded the United Nations DPI Gold Medal at the New York Festivals Radio Program and Promotion Awards. In addition to this special distinction, “Electric Pow Wow” was also awarded a Silver Medal in the Audio Podcast – Culture & the Arts category. As well, “Atheist Pastors”, an episode of the CBC Radio program Tapestry with mix and sound design by Pietropaolo, was awarded a Gold Medal in the Religious Programs category. On the RPM Podcast, Indigenous music and culture meet in sound. Each episode gives voice to the music, stories, and experiences of Indigenous artists from around the world by exploring a place, idea, or tradition that inspires Indigenous songs and people. “Electric Pow Wow” explores how the pow wow is getting plugged in, mashed up and remixed by 21st century artists. The RPM Podcast is hosted by Ron Dean Harris (aka Ostwelve), and produced by Pietropaolo, with executive producer Lynn Booth, creative producer Jarrett Martineau, and production manager Christa Couture at Make Believe Media Inc. in Vancouver. “Atheist Pastors” is hosted by Mary Hynes and was produced for CBC Radio by Tina Pittaway and Nicola Luksic, with mix and sound design by Pietropaolo. This marks the 7th consecutive year that Pietropaolo’s work has been recognized at the New York Festivals. In all, his productions have received seven Gold Medals, five Silver Medals and one Grand Award (for Best in Festival) during that time. The New York Festivals have recognized the world’s best work in radio and audio broadcasting for the past 55 years, with winning programs chosen by an international group of judges. Programs from 27 countries competed in this year’s edition. Winners were unveiled at a ceremony in New York on June 18, 2012.